In addition to offering an oversimplified message for drug avoidance most spots also advance the myth that one-time crack use kills. Just ask Pee-Wee Herman, “It’s the most addictive kind of cocaine and it can kill you. So every time you use it you can risk dying. Doing it with crack isn’t just wrong, it could be dead wrong.” Before he took to talking to chairs in public, Clint Eastwood also joined the fray as he channeled his best Dirty Harry. “You see this cute little vial here, that’s crack, rock cocaine, the most addictive form. It can kill you.” As with a series of PSA’s geared against crack, the postscript of the spot reads “Don’t even try it. The thrill can kill.” Brat Packer Ally Sheedy appeared in the same line of ads reminding Breakfast Club fans again “crack kills.” Other ads feature an undertaker and a businessman’s funeral, purportedly all casualties of crack. This myth marred the period, advanced most prominently by the overdose of basketball star Len Bias. Unfortunately, Bias was hardly a first-time user, nor did he overdose on crack, but rather, high-grade cocaine. Drug warrior PSA’s that spotlight dealers portray such villainous characters in urban districts, and the dealers are frequently young black men. A 1991 anti-crack spot follows a young black dealer swaggering along a playground—with children playing basketball in the background—bragging about his ability to ensnare children into the drug game and hawk his product. “I’m hookin’ them younger everyday. But they don’t have the money you say. But when my customers get on crack they lie, cheat and steal to get more.” In an earlier 1988 neo-noir spot a white young lady menaced by busy city streets, honking horns, and a pushy dealer is coerced into prostitution because she does not have any cash for more crack. Now teens are told that buying marijuana supports terrorism. When youth have rightfully become cynical of the misinformation they are fed in the War on Drugs, they are less likely to respect the popular wisdom that drugs are dangerous. Perhaps this leads to escalating experimentation, and a desire to learn the truth about drugs on their own. As we know, this is entirely more dangerous than educating youth with real knowledge about drugs, drug abuse, and addiction. Rather than continue laughable attempts to scare our youth, arming them with legitimate information might be a step in the right direction. In the midst of a heroin epidemic that recently prompted five million additional dollars to address the problem, we are confronted with the contradictory, problematic nature of how we view drugs. Just as Bruce Willis spoke sternly against crack while hawking liquor to young men, big pharma has packaged serious narcotics as safe, acceptable, and non-habit forming. 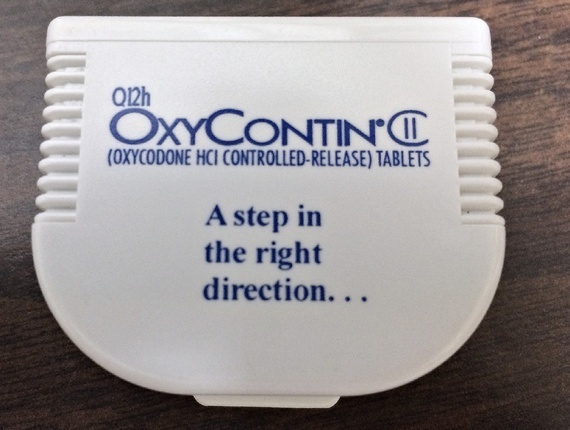 The gateway drug to our heroin epidemic is indeed a product of big pharma, Oxycontin. Public service announcements in the War on Drugs and direct to consumer marketing of pharmaceuticals are hardly a public service, but rather, a massive disservice to a public seemingly unable to approach alcohol, drugs, and licit pharmaceuticals with clear eyes. I wonder why. To say nothing of the new advertising campaign in DC against K2: U + K2 = Zombie.